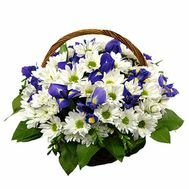 Why do you ask your choice of flowers for Birthday, March 8 or Valentine's Day to stop on a flower basket? 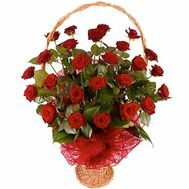 The advantages of such a gift are many. 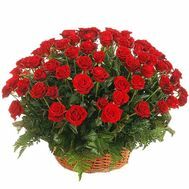 We list the main of them. 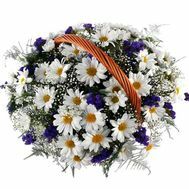 So, firstly, a basket of flowers is more convenient to wear than a bouquet. 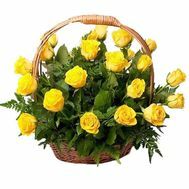 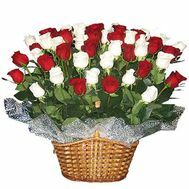 Secondly, the flowers in the basket will last longer, since they are made on a floral water basis. 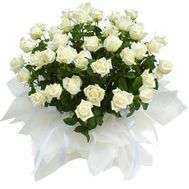 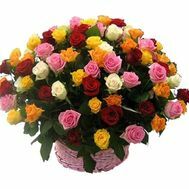 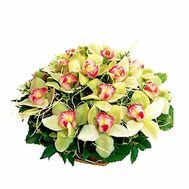 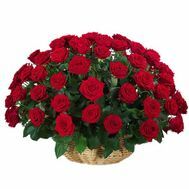 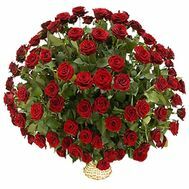 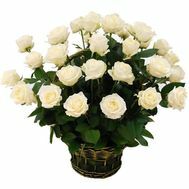 Thirdly, you do not burden the recipient with unplanned worries, the recipient will not need to change the water in the vase as a bouquet, you do not need to prune the stems of flowers. 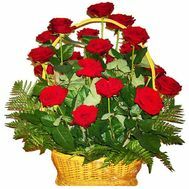 Fourth, the flower basket looks more solid than a simple bouquet. 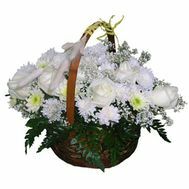 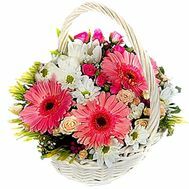 Fifth, the recipient will appreciate your original approach to the gift, not a standard bouquet, but an unexpected basket of flowers. 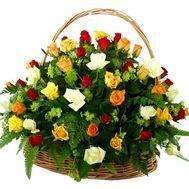 Surprise, admiration and delight from the received basket of flowers is guaranteed!